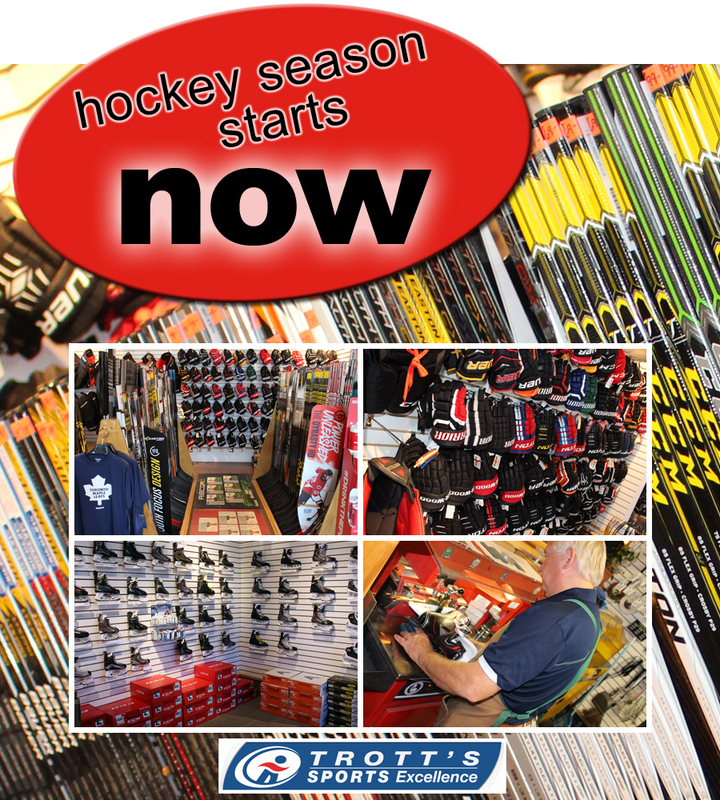 Trott’s Sports Excellence is your home for hockey equipment, uniforms and accessories. New merchandise for a new season is arriving daily. 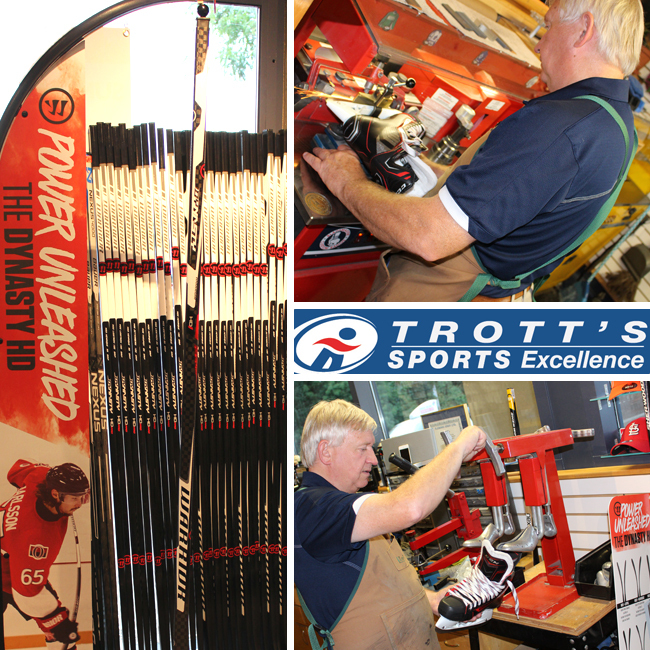 Count on Trott’s Sports Excellence for custom skate sharpening and skate repairs. HAVE YOU ORDERED YOUR TEAM UNIFORMS FOR NEXT SUMMER YET? Now is the time to order your custom uniforms for soccer and baseball season from Trott’s in Downtown Collingwood. Make us your number one choice for custom shirts, sweaters, jerseys, socks, hats and jackets and look good when you hit the field this spring. It’s all about hockey right now as a new season begins at Trott’s Sports Excellence. We look forward to serving you. Hockey season is just around the corner and now is the time to outfit your child at Trott's Sports Excellence in Downtown Collingwood. The store is full of new gloves, sticks, skates and accessories to make sure the hockey player in your family is ready to hit the ice for the new season! Custom skate fitting ensures the right fit, and our custom skate sharpening will have the hockey player in your family skating with confidence. Our hockey knowledge is a big reason why people rely on us to help them through the hockey season!